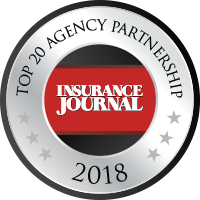 Keystone has expanded into 12 states with the addition of Coverra Insurance Services as its first pioneer partner in the state of Wisconsin. The agency is in Sparta. Vice President of Sales & Geographic Expansion Elizabeth Schenk (left) with Jeff Ascher, President (middle) and Gary Ascher, CEO of Coverra. 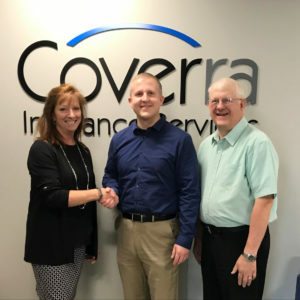 About Coverra Insurance Services – Coverra Insurance Services began in 1984 and today employs 25 insurance professionals. The growing agency has expertise in several commercial industries including public transportation. CEO Gary Ascher, who started the agency from scratch for Western Federal Savings and Loan and then bought the agency, has served in multiple community leadership positions including the Kiwanis and Jaycees. He also has served on the board of local non-profit organizations including the Boys & Girls Club and Morrow Home. He was an 18-year board member and past president of Hamburg-Stark Mutual Insurance company. Currently he is in his 16th year as chairman of the Sparta Police Commission. President Jeff Ascher joined the agency in 2007 and has been involved in the community through the Rotary and coaching youth football. For more information, go to www.coverrainsurance.com.